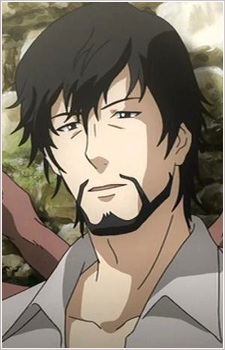 Finally identified in episode six, Tajimamori is the previous Guardian of Yggdrasil and father of Apos. According to a legend told in episode five, he was once tasked by an emperor to find a Fruit of Time for him but when he discovered it, the emperor already died. The legend is apparently based upon Shinto myths. As a Guardian of Yggdrasil, he doesn&#039;t age but isn&#039;t invulnerable like the immortals. He can grow angelic wings like Apos and his presence has the same effect on Mimi as an angel&#039;s, but he doesn&#039;t exhibit the primal savageness of angels. He is seen talking to Rin on the phone throughout the series, often in an intimate or fatherly manner. He is revealed to be the progenitor of the Maeno line which tied all his descendants&#039; fate to Rin&#039;s. Shortly before his death at Apos&#039; hands in episode six, Tajimamori fathers a child with Rin.